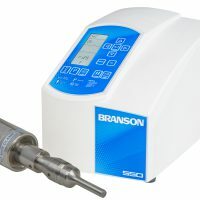 SFX550 | Process Equipment & Supply, Inc. 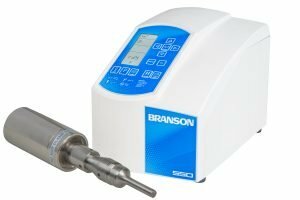 The SFX250 and SFX550 are part of the new SFX Series of Sonifiers from Branson, designed to bring the industry’s most advanced sample-processing capabilities to your laboratory. 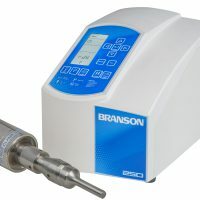 The SFX Series brings a new level of ease, precision, and repeatability with advanced energy and temperature control modes, process monitoring capabilities, and programming features. SFX250 with 1/2″ Horn 101-063-965R 120 V 250 watts 12.5″ (318 mm) L x 7.5″ (191 mm) Wx 9.25″ (235 mm) H 14 lbs. SFX250 with 1/2″ Horn 101-063-966R 240 V CE 250 watts 12.5″ (318 mm) L x 7.5″ (191 mm) Wx 9.25″ (235 mm) H 14 lbs. SFX250 with 1/2″ Horn 101-063-969R 120 V 550 watts 12.5″ (318 mm) L x 7.5″ (191 mm) Wx 9.25″ (235 mm) H 14 lbs. SFX250 with 1/2″ Horn 101-063-971R 240 V CE 550 watts 12.5″ (318 mm) L x 7.5″ (191 mm) Wx 9.25″ (235 mm) H 14 lbs. SFX550 with 3/4″ Horn 101-063-968R 120 V 550 watts 12.5″ (318 mm) L x 7.5″ (191 mm) Wx 9.25″ (235 mm) H 14 lbs. SFX550 with 3/4″ Horn 101-063-970R 240 V CE 550 watts 12.5″ (318 mm) L x 7.5″ (191 mm) Wx 9.25″ (235 mm) H 14 lbs. High-efficiency, stand-mountable converter requires no internal cooling. Scrollable, multifunction screen with pushbuttons. All SFX Series Sonifiers feature a digital, intuitive interface flanked by easy-to-use push buttons. 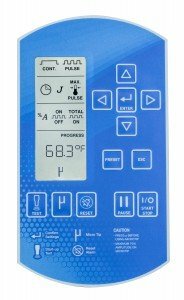 The screen and buttons provide one-touch access to all control parameters and modes of operation. Disruptor horns: These horns are designed to process a wide variety of applications and are available in standard sizes ranging from 1/2″ to 1″ in diameter. Microtips: These smaller, high-intensity tips are ideal for processing smaller samples in Eppendorf vials or similar vessels. Available in stepped or tapered designs, with sizes ranging from 1/8″ to 1/4″. 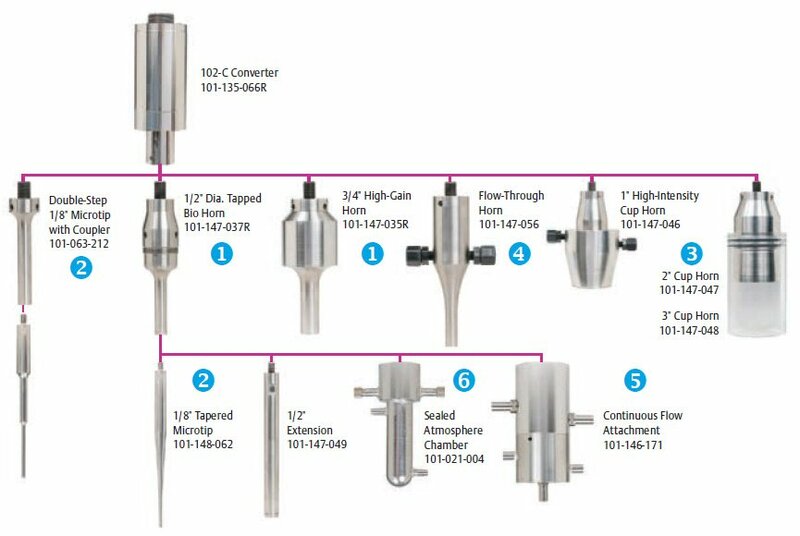 Cup horns: These specialized horns permit high-intensity sound to be applied to multiple samples without direct horn contact. Available in 2.0″ or 3.0″ diameters (3.0″ for SFX550 only). Flow-through horns: These horns offer the ability to pass a process liquid through an intense energy field within the horn itself. 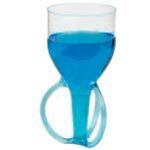 Dual ported horns permit the emulsification of two dissimilar liquids in controlled, continuous proportions. 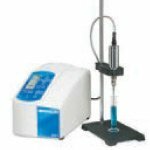 Continuous flow attachment: This temperature-controlled chamber permits continuous processing of a flowing liquid through a high-intensity ultrasonic field. 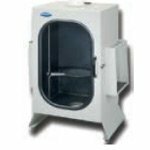 Sealed atmosphere treatment chambers: These specialty horns have been developed to handle noxious or hazardous samples while isolating them from incidental contact or to contain reactants for metric evaluation. 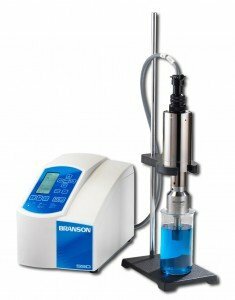 Stand and Converter Holder: The support stand with stainless steel rod accommodates Branson’s 20 kHz converter. The converter holder supports the ultrasonic stack (converter and horn) and is adjusted easily to properly position the horn in the sample.